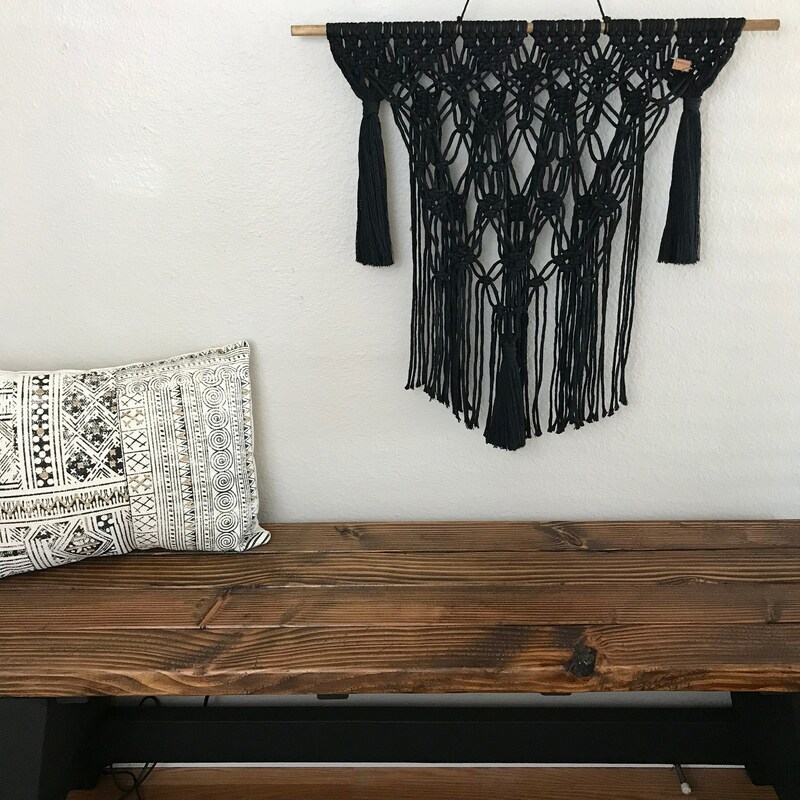 Black may not be a tradition color for macrame but it looks beautiful on the wall. 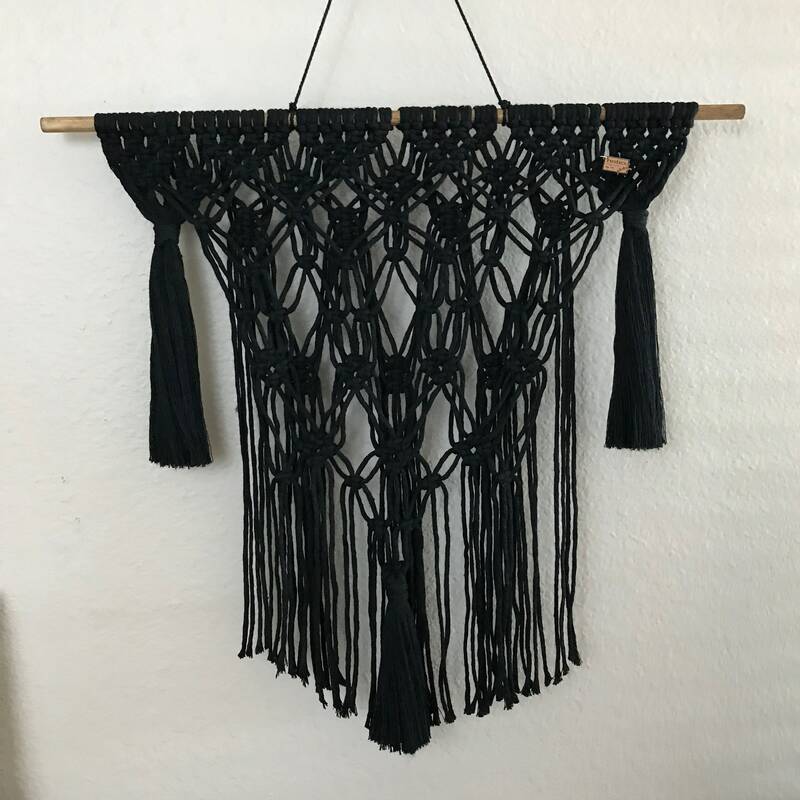 This handmade macrame wall hanging is made of 100% cotton black rope and hangs on a stained dowel. 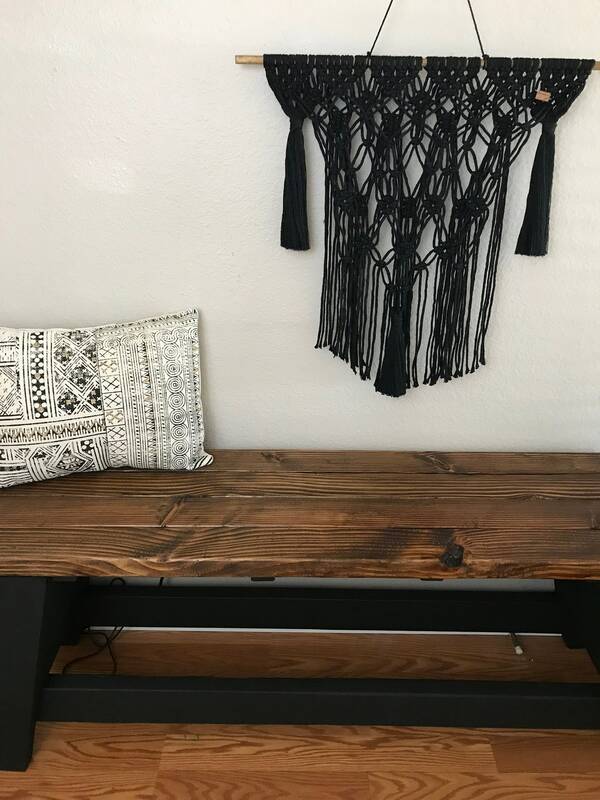 Sorry, no international shipping at this time. United States only.